Okay, so normally cake is reserved for some sort of special occasion. Weddings, birthdays, you know. I'm sure there are others. Me, I don't really need a reason to have cake, especially when it's one this good. And yes, this was technically made for a birthday (a very special one, actually, cute Colin's 31st), but it's bound to make a repeat appearance, candles not included. Okay, a quick word. 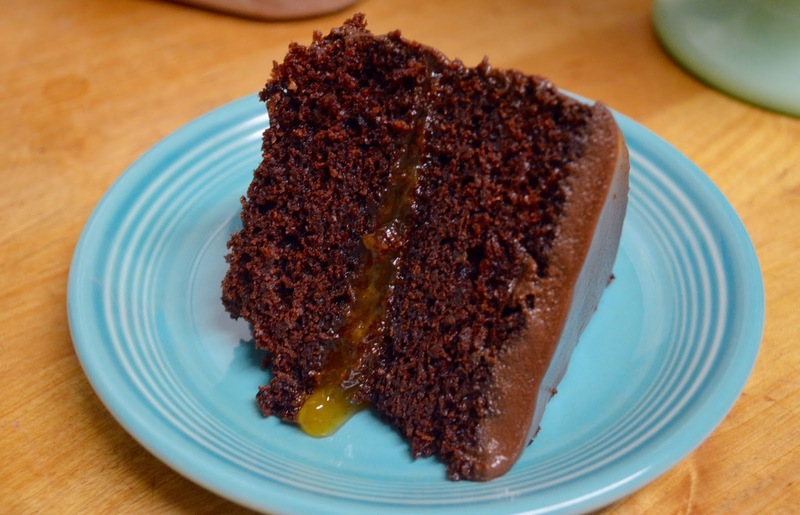 Not only is this cake terribly easy (seriously, no super hard to find ingredients, no weird steps) and vegan. But it's really, really good. 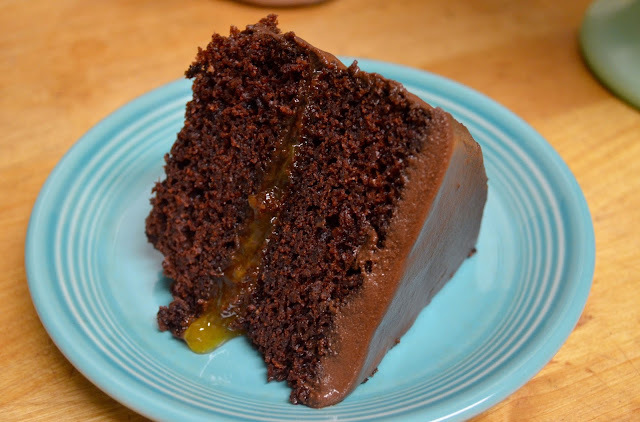 I know, I shouldn't really be the one to have to convince you of the virtue of a vegan cake since this blog is full of vegan recipes, but let's get real about something: not all vegan cakes are created equal. I have had some that just don't cut it, pun intended. They're too dense or the icing is rock solid even after sitting out for an hour or more. Nope. This one, however, is exactly as all cakes should be. It's light, subtly sweet, not too overly-chocolatey (yes, that is a thing). You'll just have to try it for yourself. Begin by preheating your oven to 350 degrees. 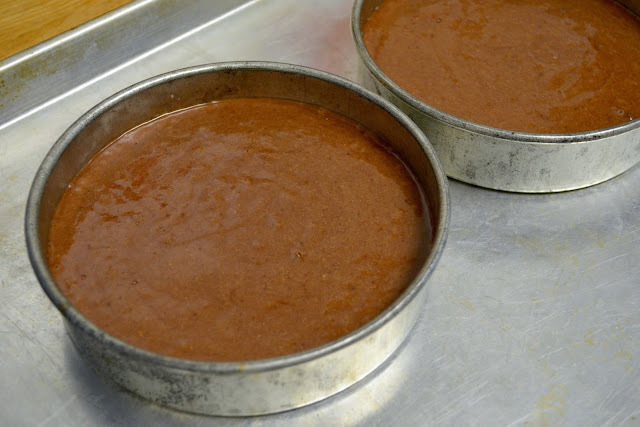 Lightly grease the bottom and sides of two 6-inch cake pans (you could use an olive oil spray if you feel like being cohesive, but I went coconut since that's what I had on hand). Line the bottoms with parchment paper and set aside. Transfer to wire racks to cool (in the pans) for five minutes. Next, (carefully!) flip them out of the pans and allow to cool completely. Once cooled, wrap well with plastic wrap and transfer to the refrigerator to chill. 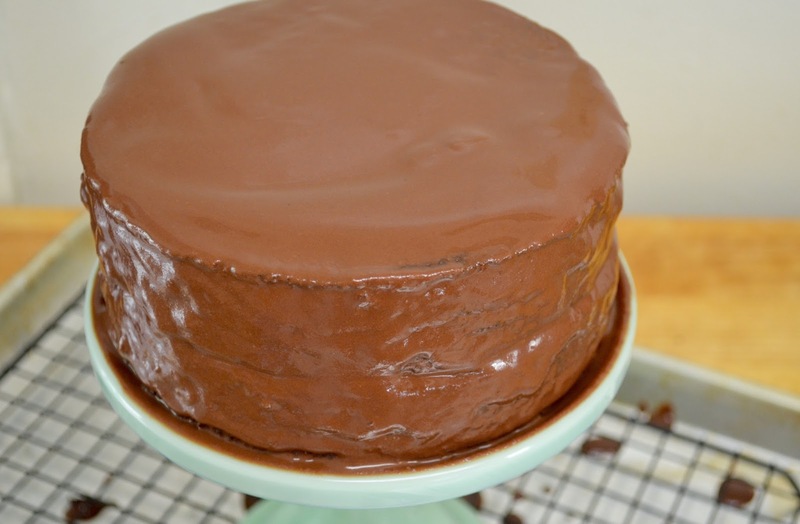 The main reason for this is it makes spreading the jam filling and ganache much easier when the cake is cold. So really, you could do the baking a day in advance for best results or allow to chill for at least two hours. 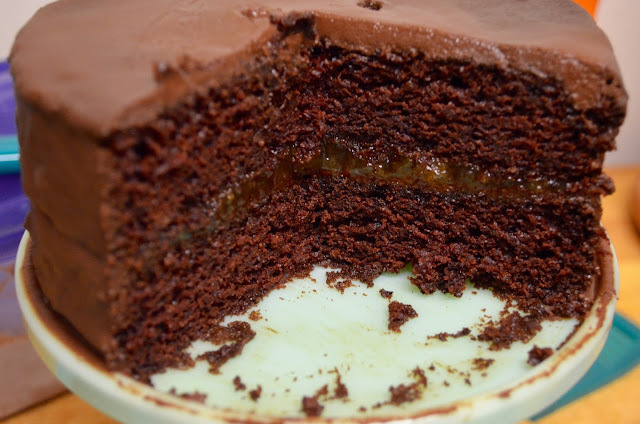 When you're ready to dress up your cake with ganache, melt your chocolate in 15-second increments in a microwave safe bowl. You don't want to zap it all at once since this will result in burnt chocolate and a smell that will take forever to leave your tiny kitchen. 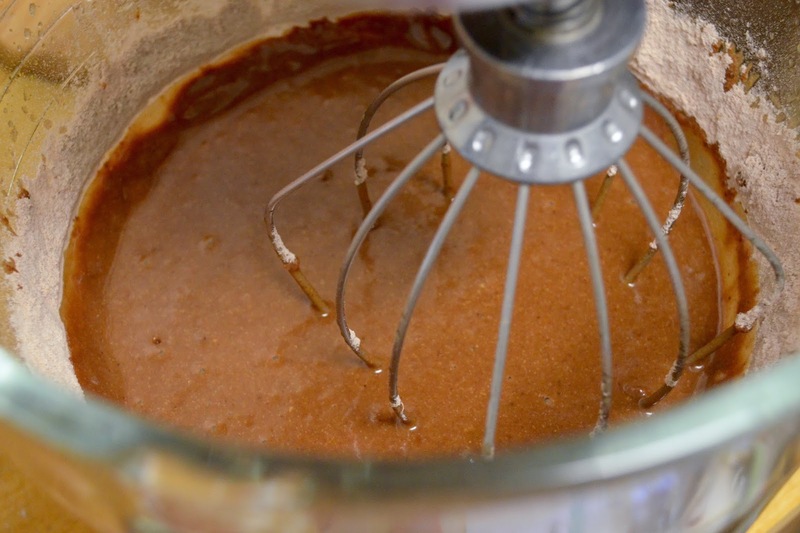 Whisk after each trip to the microwave to smooth out and check for lumps. 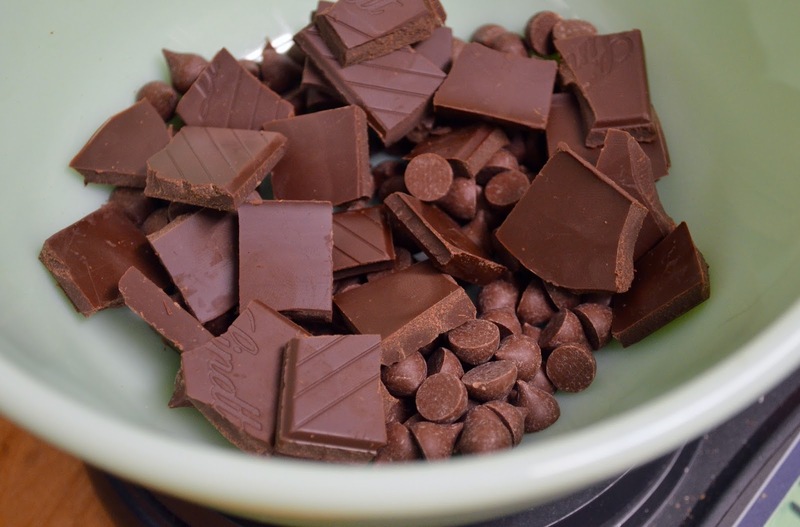 Once your chocolate is shiny and lump-free, gently stir in your milk (slightly warmed will help), sugar, olive oil and salt. Once combined, transfer to the refrigerator to firm up slightly (about 1-2 hours). 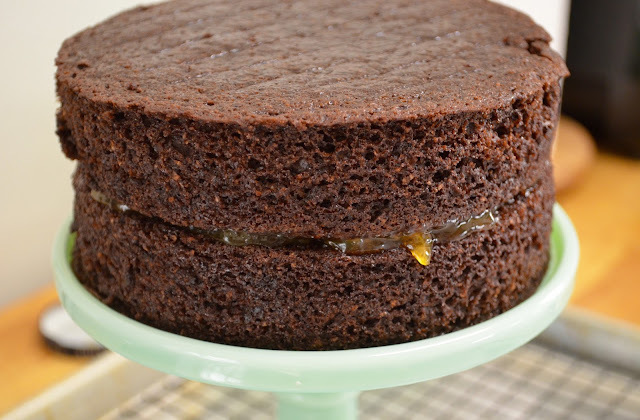 Finally, use your apricot jam to sandwich together your cakes. Spread liberally with your ganache or, if it's still pretty fluid, just pour over the top--just make sure you have a tray underneath your cake stand to catch the mess. And there you have it! The perfect vegan birthday cake (or anytime cake) that will change your mind about vegan desserts. Stocking up on cake recipes for all the future birthdays? Try this not-so-vegan (but pink!) raspberry zinger cake. Or how about this miniature but pretty classic carrot cake? And just in time for fall, an applesauce spice cake with butter caramel glaze.